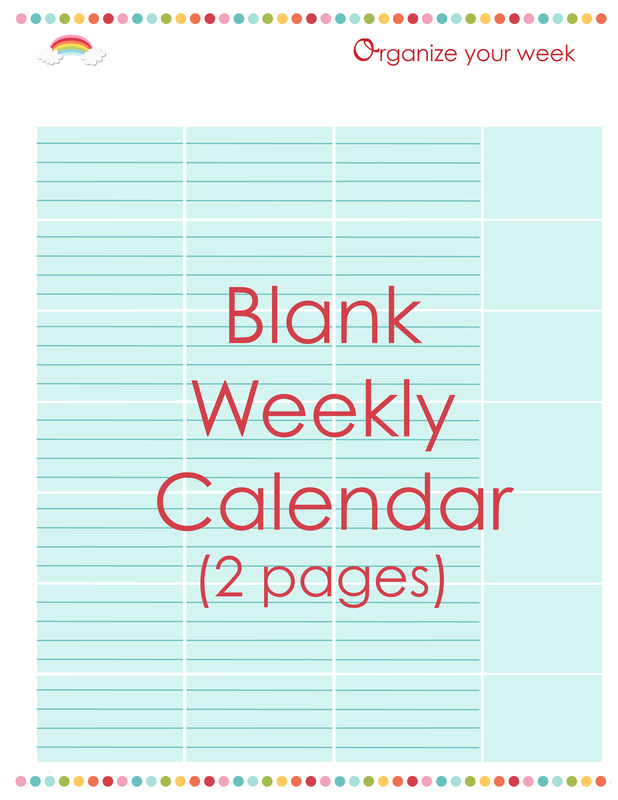 If you are proficient in photoshop, this blank weekly calendar is a great option for you. If you are not good with photoshop, you can still use these versatile printables by labeling or writing in your own categories. Coordinating perfectly with all of the Rainbow Planner pages, this weekly calendar is a great way to lay out your activities by family member or job. 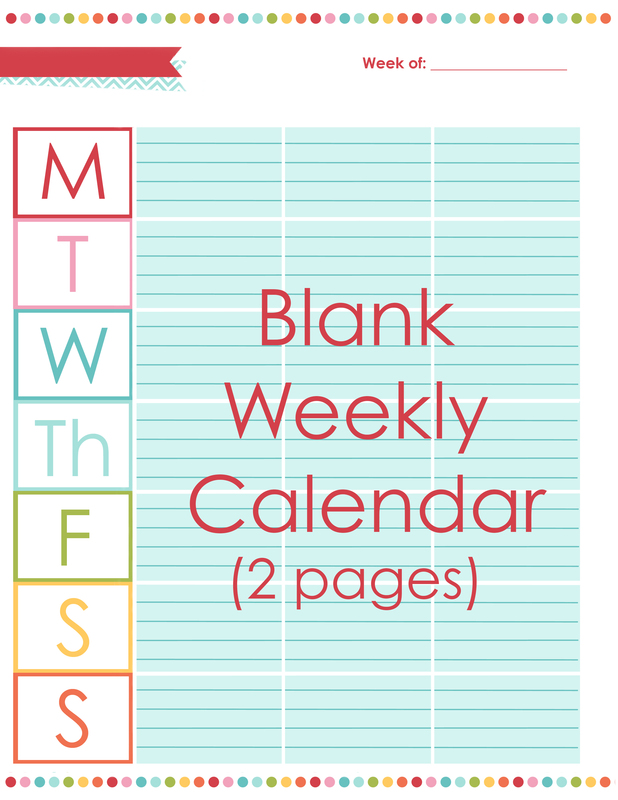 Keep track of your entire week on this 2 page spread for only $5.00. Make sure to choose the correct size for your planner.